Pat Smythe was a phenomenon. The first Olympic Games at which female equestrians were allowed to compete took place in Stockholm in 1956. She won a bronze medal. 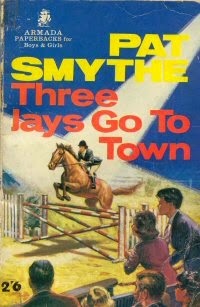 Pat Smythe succeeded in a world which was not friendly to the female show jumper. 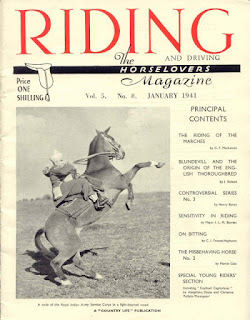 In the same year she won the Olympic medal (the first Olympics at which female equestrians were allowed to compete), she won the Grand Prix Militaire at the International Show in Lucerne in 1956. Another woman rider came second, but the cup was presented to the French officer who came third, and it was his name that was engraved on it. Unlike many other international riders of the time, Pat had no family or other money behind her. 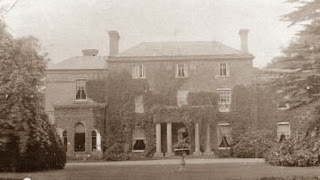 With her mother, she ran their rented house, Miserden (which later appeared in her Three Jays series), as a boarding house for agricultural students, and for children whose parents wanted them to have a country holiday, and this, with a little horse dealing, funded her riding. After the tragic death of her mother in a car accident, and the blindingly unsympathetic attitude of her bank manager, who rang on the afternoon of her mother’s death to say that he was sorry about the accident, but please could she repay her overdraft of £1500 as soon as possible because she had no securities to cover the sum, Pat had to run the show on her own. 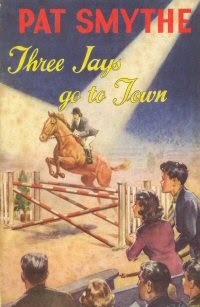 HOYS at this time was held in Harringay - just. The show moved to Wembley in 1959. I'm not certain whether later reprints of the book made the switch too, as I have no copies to compare! HOYS stayed at Wembley until 2002, when it moved to its current home, the NEC Arena in Birmingham.